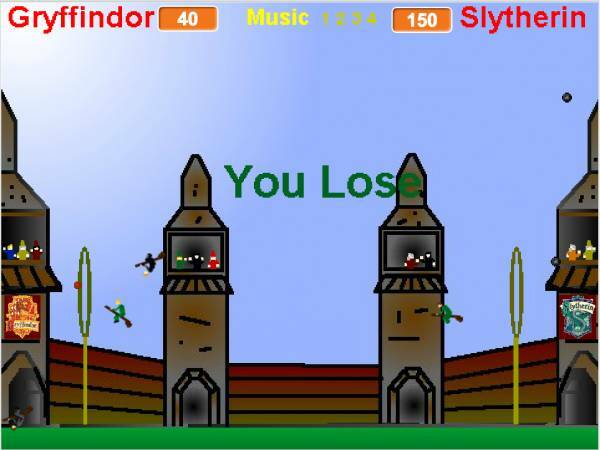 Test your skills with this flash game! Post a screenshot with the final score of your match by 11:59 PM HOL time on July 17th to earn 5 QWC points for your team and 10 Beans for yourself! After half an hour figuring which figure am I and how to work it, I finally managed to win! Exclamations were my favorite. "No! ", "Who do you think you are?". Very amusing! I scored a goal! 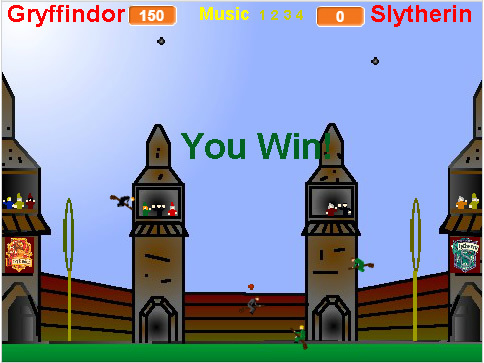 Slytherin wins! Even with Cody coaching me, I failed at this game. I think it just shows that I'm definitely not a Chaser. It took me several tries, but I finally got the shutout I wanted! 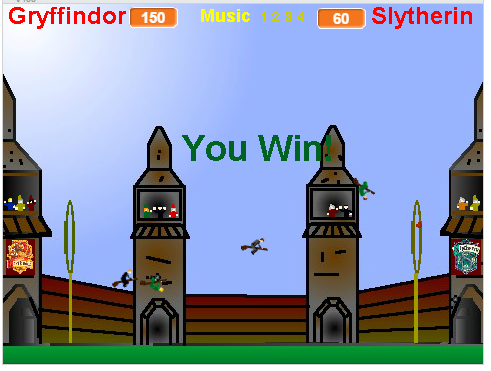 I spent way too much time on this game than necessary. I'm also pretty sure that there were more than 2 bludgers. I am very sorry for my keeper. He keeps doing all the work while I tumble, roll, tumble. This is so hard! But I loved the vocals during it. I kept laughing! Last edited by Shiloh Adlar on Sun Jul 16, 2017 4:02 am, edited 1 time in total. The good news is that I (almost) figured out how to steer! The bad news....I couldn't steer well enough to avoid the magnetic bludgers. I got bludgered so much! Deadline is 11:59 PM HOL time on July 17th, so make sure you post the results from your match before then! This was so difficult! I was seriously trying, but didn't find much success. 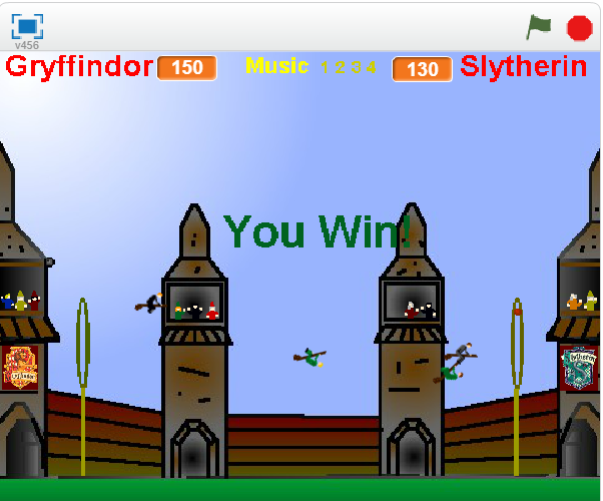 It took me a while to figure out exactly how to control what was happening, and I still didn't manage to score many goals. I did not like this game, or the game didn't like me... At least I scored three times for my team.